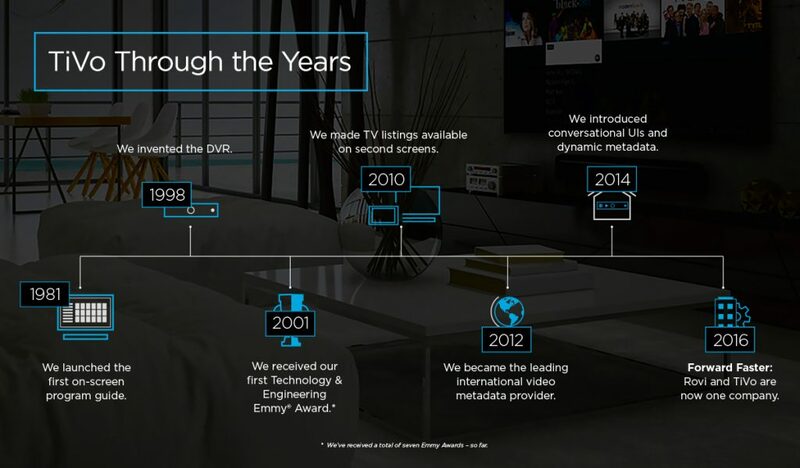 From the day our first DVR shipped back in 1999 to the moment we won our first Emmy® Award in 2001; through strategic acquisitions of research, analytics and advanced search and recommendations specialists, and eventually our own acquisition by Rovi, we’ve always had an eye on blazing trails in entertainment technology. It’s not in our DNA to rest on our laurels; that’s why a little over two years ago, we began exploring our next frontier. An icon meets the myth. The Hydra, the serpentine sea monster of mythology, is known for a laborious, multi-heads-to-head struggle with the long-suffering hero Hercules. Malevolence aside, this many-headed creature of ancient folklore seemed an apt code name and metaphorical description of what we envisioned for the latest generation of the iconic TiVo user interface. Just what was that vision? 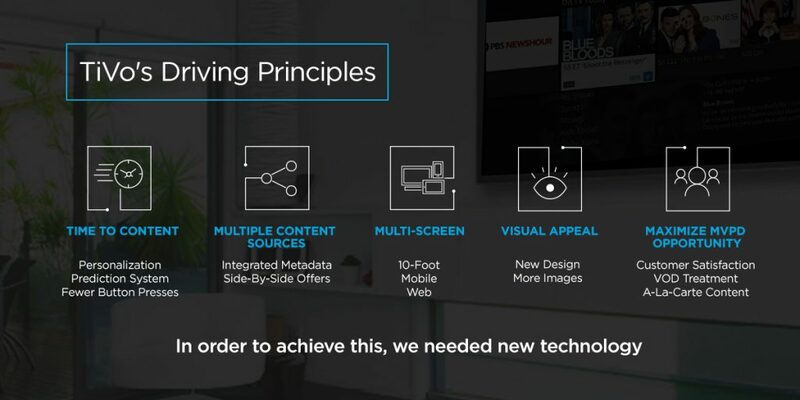 When we launched our redesign effort, our goal was to offer a superior, seamless multi-screen experience on set-top boxes, mobile devices and the web, regardless of format. Our new user interface had to incorporate multiple content sources, offer a deeper level of personalization and connect viewers to entertainment in the fastest time possible. Finally, we were committed to honoring our renowned user experience with the willingness to enhance it with absolutely no limitations – as if we were starting again from the very beginning. Our latest generation interface combines sleek aesthetics with usability. 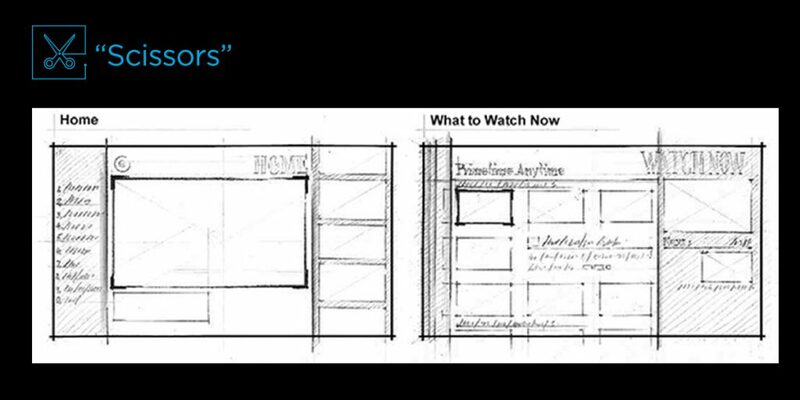 Live or recorded video is visible at all times, and gallery screens are enhanced with posters, episode-specific images, atmospheric artwork, program descriptions and viewing options. Our next-gen UI is smart – it delivers spot-on personalized program predictions, not just recommendations based on what’s trending or popular. It gives viewers the ability to access their favorite streaming sources in just one click. 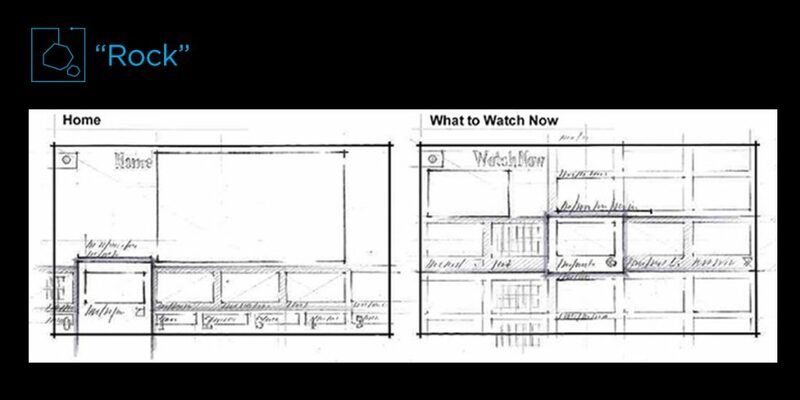 Whether content is live, recorded, on-demand or streaming, it lets viewers find and watch via universal search. All possible video sources are displayed – including a rich catalog of apps – and all program episodes can be sourced from just about anywhere. For operators, the interface offers the ability to customize branding and colors, maximize on-screen promotional opportunities, and deliver a user experience that is smart, fast and beautiful. UI evolution: Rock, Paper, Scissors. The look and feel of our latest generation UI evolved from three design explorations of how users navigate television, which we nicknamed Rock, Paper and Scissors. Rock employed a fixed-focused navigation strategy, where programming highlights remained in the same place on screen, but content moved up and down as the user moved those directional arrows. 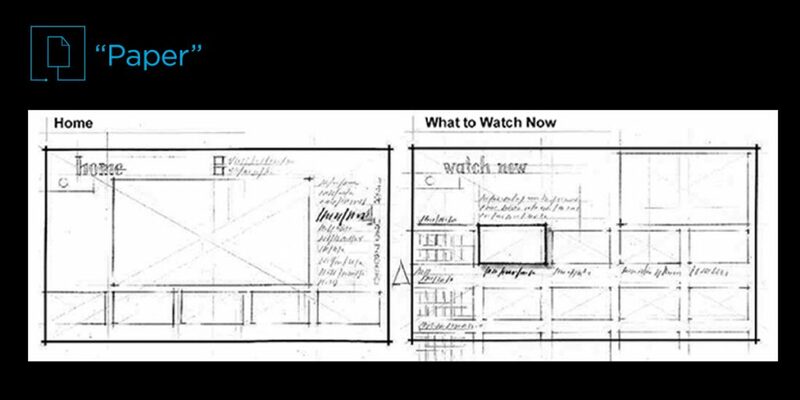 Paper offered strips of content that moved along with the directional arrows and Scissors substituted sliding panels. At the end of the process, we merged the Rock and Paper explorations for a fixed focus/free focus hybrid. 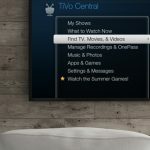 The navigation scheme may seem familiar, but it is uniquely TiVo. From the time this project was proposed in 2014, it has been a comprehensive research and development initiative involving more than 20 cross-platform UI usability studies, four MSO summits, 10,000+ consumer contacts and countless hours from our design, engineering, user experience, product management and QA teams. It has been a Herculean effort, but worth every last moment of executive angst. Coming soon to TiVo boxes. 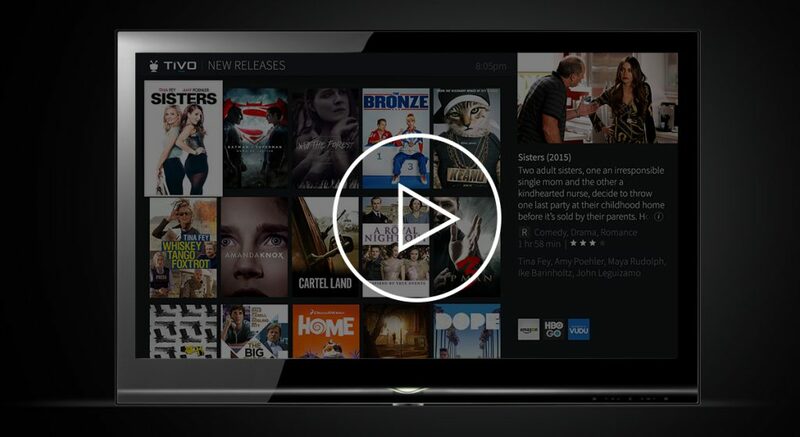 TiVo is happy to announce Vodafone España will be launching a next-generation TiVo solution incorporating our latest user experience in March.